One year ago, I have pendant make a crocheted cowl. Today, finally, is finished. I present my latest project. 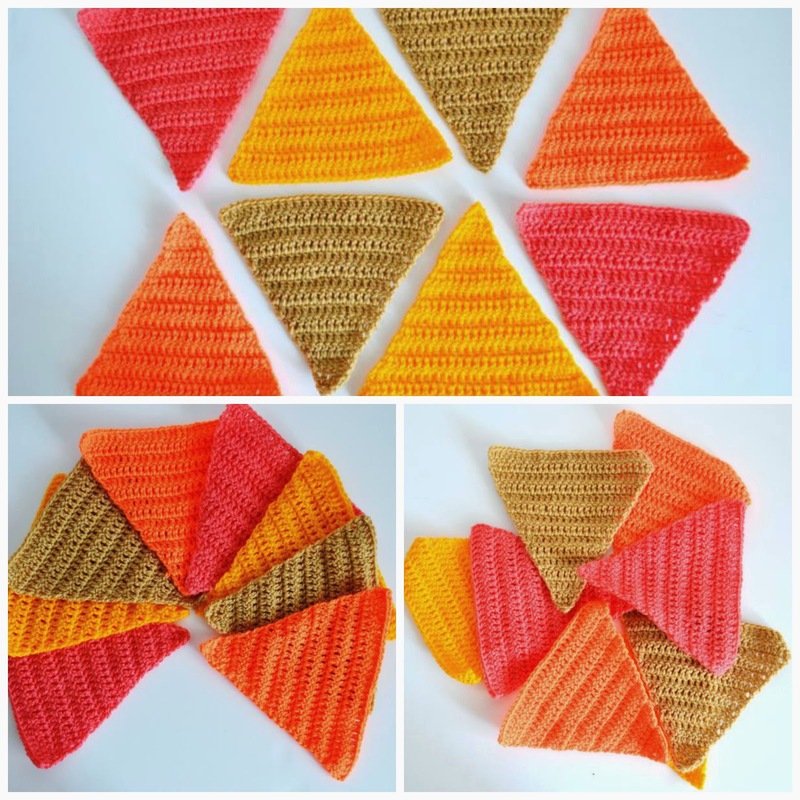 I used a crochet hook to attach the triangles. And here you can see how very well looks the crochet cowl! likes it very much ... It is a surprise! I love it... I want one for me!!!!! I worked with 4mm crochet hook and yarn Stylecraft DK. soon I will show you! And many thanks for your comments! 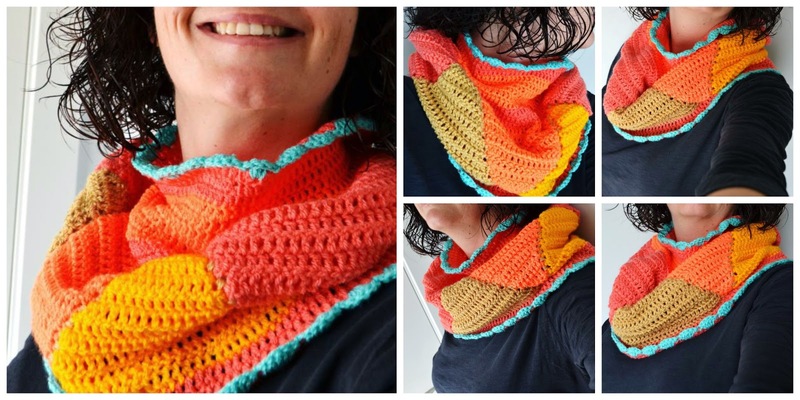 Very very nice cowl ! 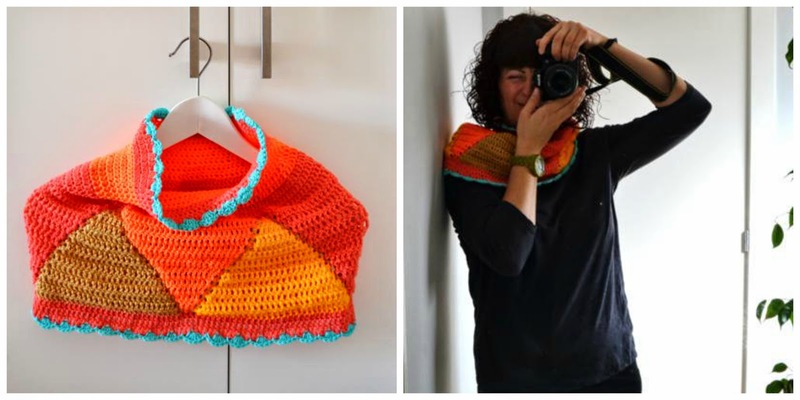 you're right that's great to wear a handmade cowl !! I like it ! so have a lovely and creative day ! Very nice. I lova it. 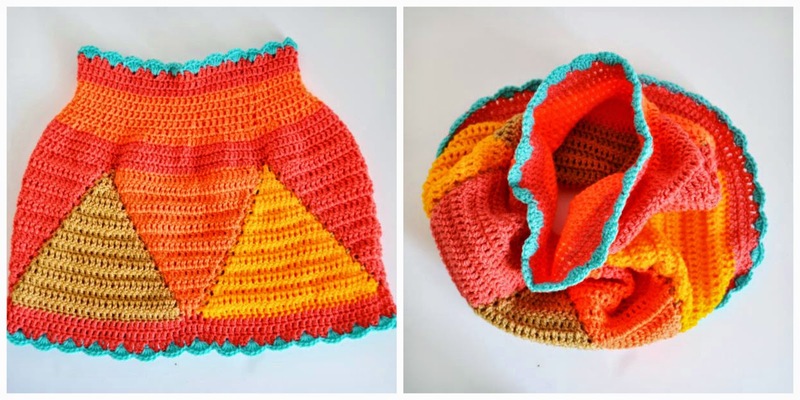 Your new crochet cowl is gorgeous! 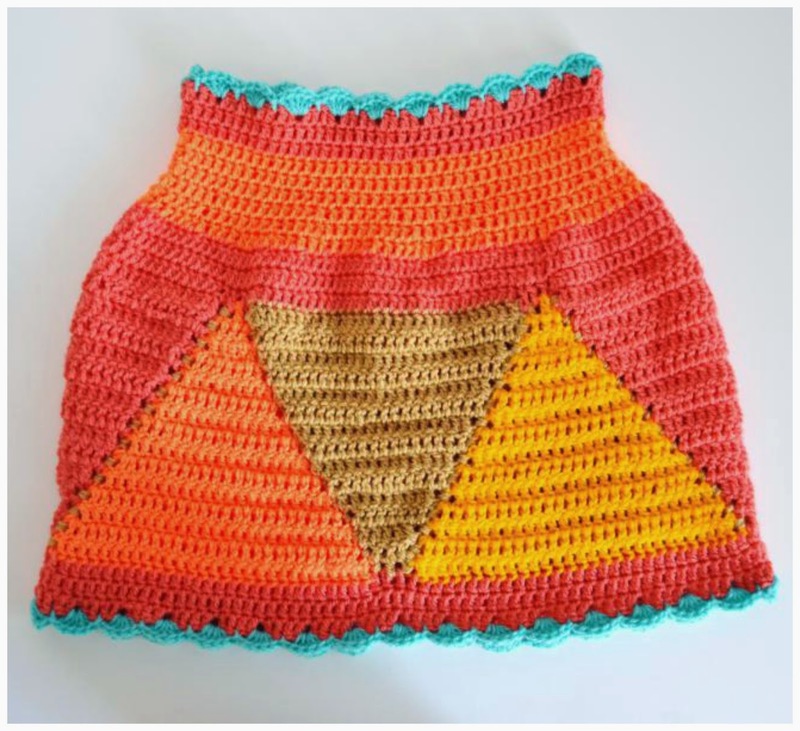 Such lovely colours and a clever pattern! I love the contrast of the blue edge. 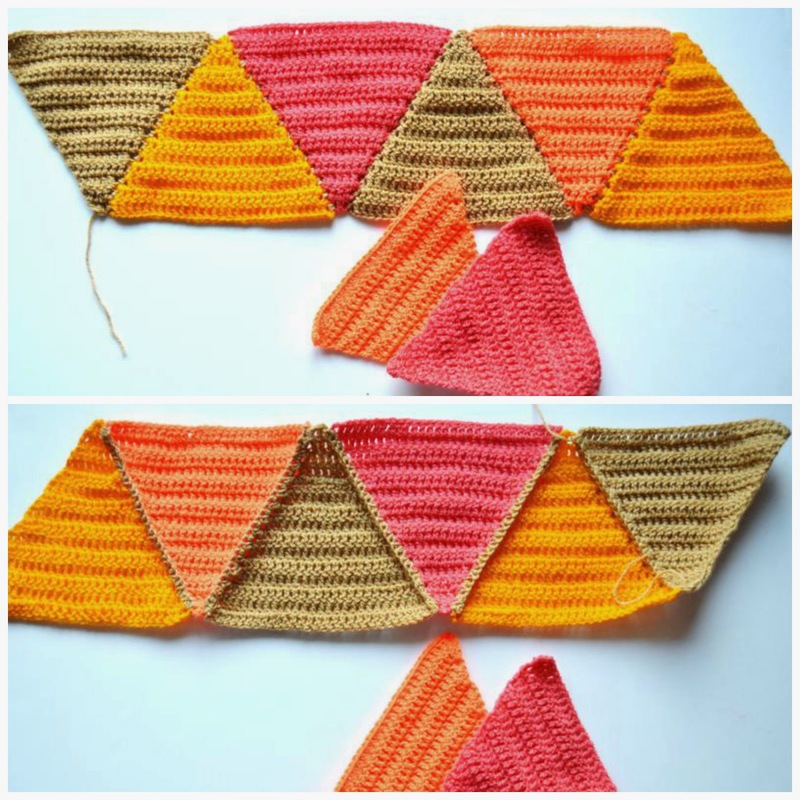 So pretty :) Will you write out the pattern for the smaller section? Thank you! the pattern is very simple. Always work with dc, and decrease some stitches in every round according to the desired size. I have worked without pattern, I made rounds freely. Have a nice day!